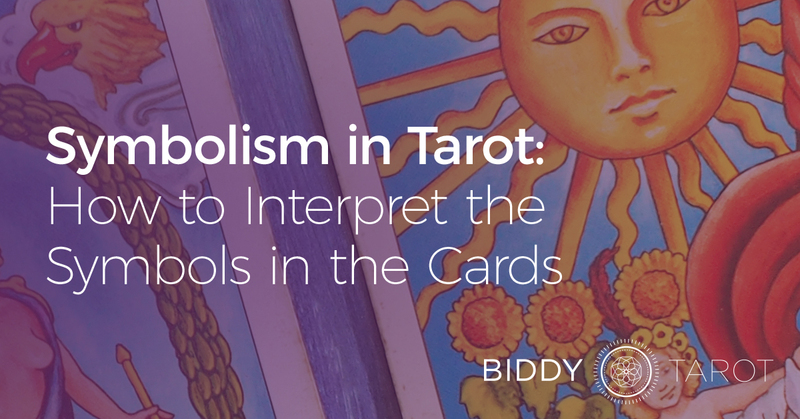 Have you ever wondered how to interpret the symbolism on a Tarot card? There is a ton of information and insight in those symbols, but it can sometimes be overwhelming to decode them all. And then consider the religious symbolism on Tarot cards: there are symbols from Kabbalah, Christianity, Judaism, Paganism and also the golden Dawn and Astrology. And there’s numerology to add to the mix. And that’s just the Rider Waite! There are whole new set of symbols on each Tarot deck you read from. But believe it or not, it can be really easy for you to translate the symbols in the Tarot cards. Tarot shouldn’t feel taxing or overwhelming. It should be fun and enjoyable. So, I’m going to show you how to decode the symbols in the Tarot cards without going batty. The first thing to remember is that there is a difference between collective knowledge about the symbols and your own personal connection to the symbols. Let’s look at a circle for example. One of the commonly held meanings for the circle is this idea of cycles and eternal life. But you might have had a very different experience with a circle. It might evoke a totally different meaning or memory for you. And that’s OK. Some people may think you must learn the traditional meanings of the symbols, but I say that you should follow your own gut instincts when you see a symbol. If that means relying on the traditional interpretation, that’s great. If it means making up your own, that’s fine too. I personally believe the best approach is to incorporate a balance of both. 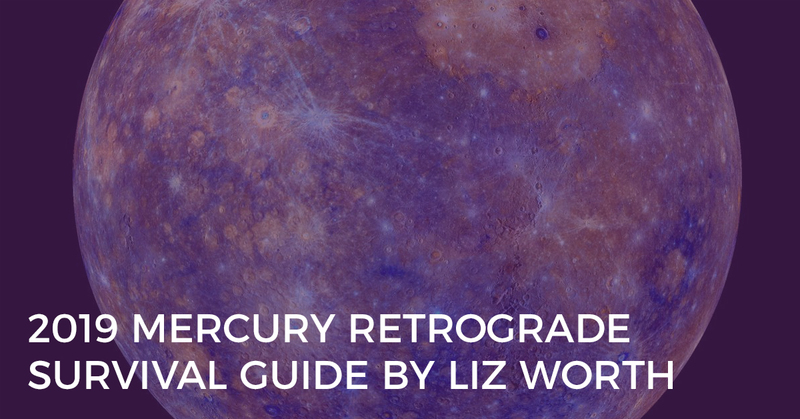 It’s good to get that foundational understanding of what the traditional meanings of Tarot symbols, but it’s also really important to form those personal connections to the symbols. When you read Tarot, I want you to come from a place of confidence. For example, if you’ve already got an interest in Christian symbolism, then think about what you know about that symbolism. How are you seeing that portrayed in the Tarot cards? Doing this will just give you that level of confidence. 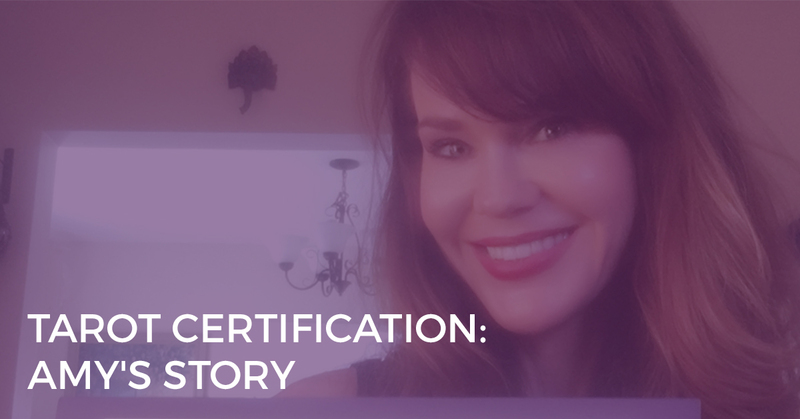 Don’t feel like you need to learn all of these new things and become a master of everything in order to understand symbolism in Tarot cards. If you look through the Tarot deck, you’re going to notice that there are a few common images or symbols across the cards. For example, there are a lot of castles, clouds, and landscapes in the Tarot. So it can be really helpful to find these common symbols and then start to learn the collective wisdom around these symbols. What does a castle mean traditionally? I’m trying to help make this like super easy for you, so I’ve created a list of common symbols and their general meanings and you can download that PDF here. This is where the fun comes in! You can really get your intuition going and start to connect more with your subconscious. Let’s use the castle as an example. The traditional meaning for the castle is a place that is quite safe, because the walls around the castle are very big and quite sturdy. But you might look at that castle and those walls and think: “Oh my goodness, I love freedom.” So that might actually have negative connotations for you. It’s good to connect to what a castle really means for you. How do you see the castle? 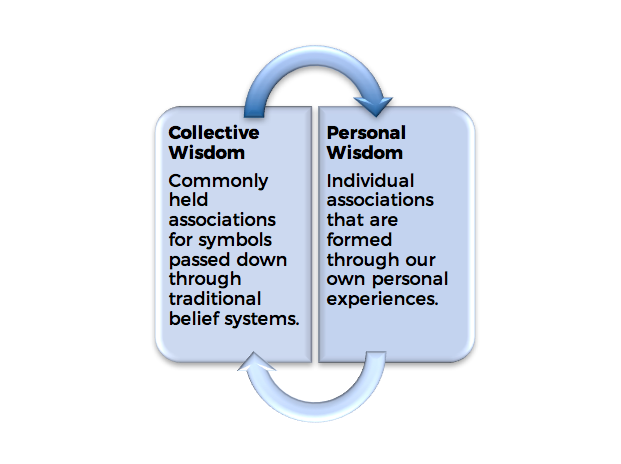 And how does that differ from the collective wisdom? How does the meaning of the castle change as you look at it across different cards? Are you standing inside of the castle walls, or are standing on the outside of those castle walls? And how does that feel, do you feel included or excluded? What’s happening around the castle? For example, in the Four of Wands, there is celebration outside of the castle, but in The Tower, the castle is tumbling down. Are castles really as sturdy as you think they might be? When you do this exercise, you’ll start to see that symbols can take on different meanings depending on the context of the card itself. So start reading books about the Kabbalah and discover what those symbols might mean. You could also read about mythology. Last year, I read a book by Joseph Campbell called “The Power of Myth.” It was a difficult read but it was fascinating because there’s so much rich symbolism in there and I couldn’t help but keep connecting it with the Tarot. As you’re doing all of this amazing research, keep a notebook of the symbols that you’re discovering and write what they mean for you. The beauty of this is that you’re not simply relying on what someone else tells you a symbol means; you’re growing your personal experience around those symbols. Are the 78 card meanings driving you nuts? If any of these statements resonate with you, then I’ve got really good news for you! Learning Tarot doesn’t have to be hard, complicated or stressful. 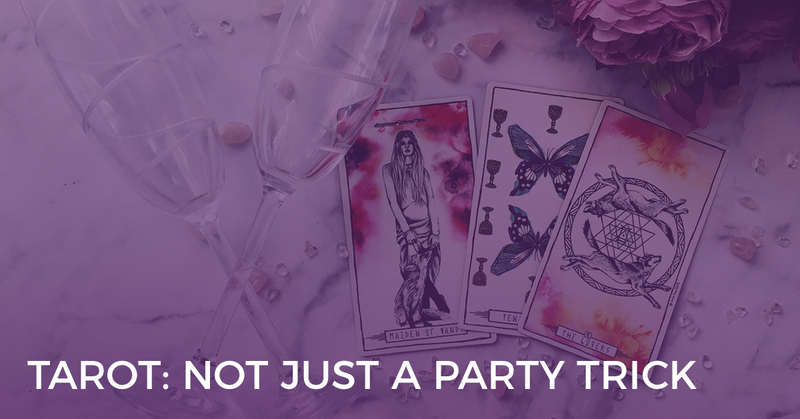 In my online Tarot course, Master the Tarot Card Meanings, I teach people to build a personal connection with the Tarot, using simple yet powerful techniques for interpreting the Tarot cards. Click here to get on the waitlist and be one of the first to know when doors reopen.